Biography* � In a September 1991 letter, Mrs. E. A. 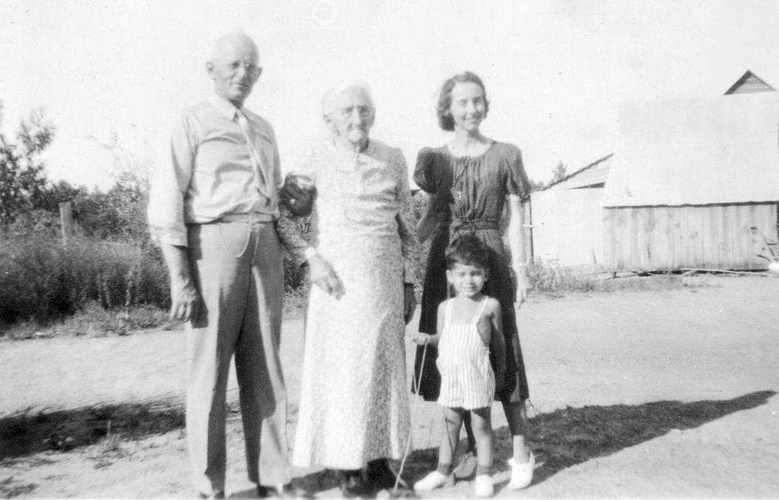 (Ellaree Dean) Speer wrote "after mamma [Eldora] finished country school, she went to Lineville to school and stayed with her Grandparents, Robert & Mary Ann Wise Griffin...." Dora was a school teacher prior to her marriage. On 15 Jan 1893, Dora and W. T. Dean were married at her parents house by W. H. Preston "A Minister of the Gospel." 50 years later, they celebrated their golden wedding anniversary. The following is from an unknown source, possibly the Ashland Progress: GOLDEN WEDDING ANNIVERSARY OBSERVED BY MR. AND MRS. W. T. DEAN LAST SUNDAY A pretty social event of this season took place last Sunday afternoon, Jan. 17, when Mr. and Mrs. W. T. Dean celebrated their Golden Wedding Anniversary with a tea at their home from 2:30 to 5 o'clock. Mrs. J. B. Willis greeted the guests at the door. In the receiving line with Mr. and Mrs. Dean were their children, Mr. O. W. Dean, Mr. and Mrs. E. G. Dean, Mrs. E. A. Speer and Miss Annie Maude Dean. Mrs. Dean chose for the occasion a purple velvet with a single orchid as her corsage. Mrs. G. W. Griffin of Talladega presided over the register and Mrs. Ceylon Cusick displayed the gifts. One gift that was not on display was a huge turkey presented by Mr. Pressly Dale of Oak Hill and consigned to the anniversary dinner table. Seated at the lace-covered table where long yellow tapers shed a mellow light on the three-tiered cake embossed in gold which was the centerpiece, were Mrs. J. D. Oliver of Birmingham, wearing a blue floral dress and Mrs. C. C. Workman in rich blue trimmed with sequins pouring tea and coffee from handsome silver services. Mrs. Lucile Jordan, Misses Mary Lou Jackson, Bessie Bell Dean and Anne Speer served delicious sandwiches and individual cake, which carried out the gold color scheme for the.occasion. Mrs. W. B. Nolen and Mrs. W. C. Adams rendered piano and appropriate vocal numbers during the afternoon. Eighty-five guests called during the afternoon. Out of town guests were Mrs. E. A. Speer and children, Anne and Ewart, Jr., and Mrs. J. D. Oliver of Birmingham; O. W. Dean of Montgomery; E. G. Dean of Marietta, Ga; Miss Bessie Bell Dean of Auburn; Mr. and Mrs. J. W. Griffin and daughter, Julia, of Leeds; Mr. and Mrs. G. W. Griffin of Talladega; Mr. J. A. Griffin of Sylacauga, Mrs. A. L. Harlan, Mr. C. I. Harlan and Miss Irma Porch of Alexander City; Miss Patti Fleming of Goodwater; Mrs. K. B. Simmons of Monroeville, and Eugene H. Atkins of Anniston. In later years Dora ran a boarding home, and was noted for her excellent cooking. The following is from an unknown source: Dean children give church Bible ASHLAND, Ala., Nov. 2., -- A large edition of the Holy Bible has been presented to the Ashland First Baptist Church by the children of Mrs. Dora Dean. Mrs. Dean, who recently celebrated her 89th birthday, is the oldest member of the church having been an active member for 63 consecutive years. Mrs. Dean, the widow of W. T. Dean, is a lifelong Clay County resident. Since the death of her husband she spends the Winters with a daughter, Mrs. Annie Maude Dorr, in St. Petersburg, Fla. Her other two children are Ewart G. Dean of Ashland and Mrs. Ellaree Speer of Birmingham. The church pastor, the Rev. E. G. Hutchens, accepted the Bible on behalf of the congregation. The following is from The Ashland Progress Ashland, AL Thursday, 5 Dec 1963: Mrs. W.T. Dean Celebrates Birthday Mrs. W. T. Dean celebrated her 95th birthday on Nov. 12. A reception was given in her honor by her daughter and son-in-law, Mr. and Mrs. William Dorr, 1300 Sixth Ave. No., St. Petersburg, Fla. Sixty-five friends called from 2 till 5 p.m. to congratulate Mrs. Dean. Members of her Sunday School class of the First Baptist Church presented her with a large purple-lipped white orchid corsage which she wore during the party. An array of gifts was on tables in the living room. The dining table, covered in an Italian linen cutwork cloth over pink, was centered with a large birthday cake decorated in pink and orchid. Tall pink tapers burned in silver candelabra. The table was laden with fancy pastries, sandwiches, mints and gifts. Coffee and punch was served. Mrs. Dean was born in [Good Hope near] Lineville. She lived in Ashland for 56 years before going to St. Petersburg, Fla., where she has spent the past 15 winters. She spends part of each summer in Ala. She has three children, E. G. Dean, Ashland; Mrs. E. A. Speer, B'ham; and Mrs. W. H. Dorr, St. Petersburg, Fla; five grandchildren and six great-grandchildren. The honoree is a member of The First Baptist Church, Ashland, probably the oldest member and a member and past matron of the Order of Eastern Star of this city and her many friends here wish her "many happy returns of the day." The following funeral notice is from The Ashland Progress for Thursday 8 Jul 1965: Rites For Mrs. Dean Held Monday, July 5 Final rites for Mrs. W. T. (Dora) Dean, were held at the First Baptist Church, Ashland, at 2 o'clock p.m., on July 5th, with Rev. Robt. Curlee the pastor, Rev. E. G. Hutchens, a former pastor and Rev. J. L Higdon, pastor of Lineville Baptist Church officiating. Interment was in City Cemetery with Blair Funeral Directors in charge. Active pallbearers were Joe Griffin, Emyl Griffin, Wythe [read Wyeth] Griffin, James Griffin, Loren G. Reeves and Earl Reeves. Honorary pallbearers were: Mrs. A. G. Cusick, Mesdames Vida Allen, Rita Allen, Lucile Jordan, Marvin Hendrix, W. L. Moore, Julius Strickland, W. W. Hill, D. B. Cardwell, W. C. Dempsey, Ila Carr, Arnon Waits, Effie Harwell, Dora Noe, Howard White, C. O. Glass, J. C. Williamson, J. S. Gay, T. F. Bassett, Maude Thomas and Miss Pauline Harvell. The deceased passed away in a hospital in St. Petersburg, Fla. on July 2, where she had been a patient for several weeks, following a heart attack. She is survived by three children: E. G. Dean, Ashland; Mrs. E. A. Speer, B'ham; Mrs. W. H. Dorr, St. Petersburg, Fla. Two brothers, J. A. Griffin, Sylacauga; G. W. Griffin, Lineville. One sister, Miss Maude Griffin, Alex City. Five grandchildren and seven great-grandchildren. Mrs. Dean was born in [Good Hope near] Lineville on Nov. 12, 1868, wife of the late William Thomas Dean of Ashland and daughter of the late William Henry Griffin and Clarissa Culpepper Griffin of Lineville. She resided in Ashland from 1892 to 1948, for the past 17 years she had made her home in St. Petersburg Fla., with a daughter, Mrs. W. H. Dorr and husband, spending most of the summers here as long as her health would permit. She was a member of First Baptist Church, Ashland, a charter member of the W[omen's] M[issionary] S[ociety] and the first president of that organization and never lost interest in her home church and the people of her home town. In Florida she attended the First Baptist Church, was a member of the TEL Sunday School Class and of the WMS of that church. She was also a long time member of the local Eastern Star Chapter, a past Worthy Matron and was very active as long as her health would permit. Some of the out-of-town people here for the funeral of Mrs. W. T. Dean were: Mrs. O. W. Dean, Bonnie and Donna, Oak Hill; Mrs. Martha Owens Brown, Atlanta, Ga; Mrs. E. W. Hodge, Talladega; Mrs. John Rozelle, Hollywood, Fla; Mrs. Glen Walker, Goodwater; Merrol Griffin, Miss Gail Griffin, James Griffin, Memphis, Tenn; Mr. and Mrs. Wallace Brueske, Minneapolis, Minn. Mr. and Mrs. Lewis Reeves and Linda, Mr. and Mrs. Robert Whatley, Mr. and Mrs. John Devaughn, and Mrs. Emyl Griffin, and Charlotte, Mr. and Mrs. Loren Reeves, Miss Minnie Reeves, Mr. and Mrs. Earl Reeves, Rev. John Higdon, W. B. Denney, Mrs. Roy Boak, Mrs. Dorothy Moon, Mrs. Myrtle Smith, Lineville, Mr. and Mrs. Charles Fincher, Anne and Linda Fincher, Sam Owens, Dr. and Mrs. Arthur Owens, Mrs. Felix Tankersley, Mrs. Pat Duke, Mrs. E. A. Speer, B'ham. Mr. and Mrs. J. 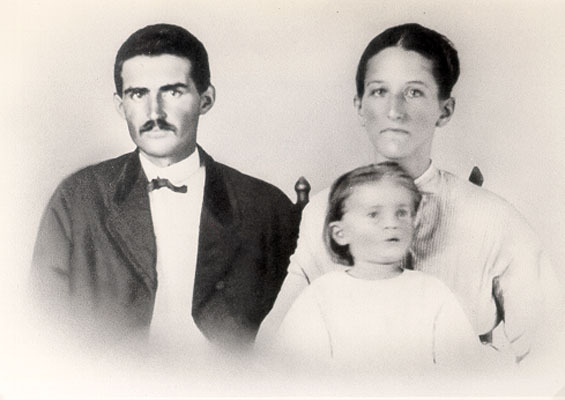 A. Griffin, Joe Griffin, Mrs. Anne Newman, Mr. and Mrs. Earl Smith, Sylacauga. Mr. and Mrs. W. H. Dorr, St. Petersburg, Fla; Mrs. Karen Heimel, Ewart Speer, New Orleans, La; Rev. and Mrs. E. G. Hutchens, Huntsville; Mr. and Mrs. Charles Lee, Mrs. Lucile Jordan, Miss Elizabeth Weaver, Anniston. Wythe [read Wyeth] Griffin, Lewis Griffin Leeds; Miss Bessie Bell Dean, Beverly Hills, Calif., Miss Maude Griffin, Mrs. Claud Culberson, Mrs. W. G. Burkhalter, Alex City; Miss Mattilu Wynn, Montgomery; Olen Gillam, LaGrange, Ga. The following is from and unknown source: East Alabama Conference Eastern Star Met Here The East Ala. Conference Order of Eastern Star met recently with Mackey Chapter No. 122 here. Guests from Lineville Alex City, B'ham, Montgomery and Wetumpka were present. Mrs. DeLaney Bryan presided and Mrs. Ocie Mae Nix is secretary. The family of Mrs. Dora Dean presented a portrait of their mother to Mackey Chapter and Mrs. Annie Maud Dorr of Florida sent a poem, "My Mother Dear." The Conference admired the beautiful portrait with deep appreciation of her faithfulness and loyalty to Mackey Chapter as a charter member. The new Chapter of Wetumpka won the attendance banner. A delightful social hour with refreshments followed the meeting. Ellaree Dean Speer records, Ellaree Dean Speer to Lew Griffin, 1977-1994. 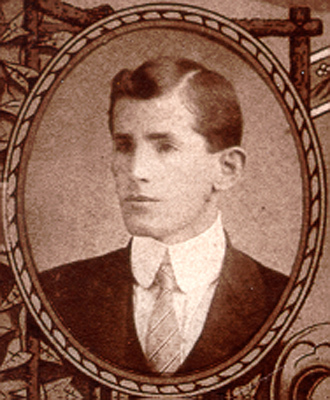 Biography* � Robert was named after his grandfathers, Robert Griffin and Lewis Peek Culpepper. Although he started out as a farmer, an entry for his brother, James O. Griffin, on p. 253 of Vol. 2 of the 1927 edition of the History of Alabama and Her People published by the American Historical Society, Inc. listed him as a "commercial traveler, with home at Montevallo [Shelby Co., AL]." Henry Clay Griffin wrote the following in a 25 Jul 1994 letter: My father, Robert Lewis Griffin, I believe went to Lineville College, but he finished at Howard College (now Samford). Before moving to Montevallo in 1921, my family lived in various Alabama towns including Goodwater, Rockford, Ft. Deposit, maybe Pine Hill, and Eclectic. My father was a pharmacist in Goodwater, and he served as a high school principal in a number of places. In 1920 and maybe a little before, he was a representative for the State of Alabama for Scott-Foresman & Co. (educational book publishers), until his death. The following is from an unknown source: The Late Mr. And Mrs. Robert L. Griffin On Sunday, February 10th. at the Montevallo Baptist Church, Montevallo, Ala., the choir window of the Church was dedicated to the late Robert Lewis Griffin and Mayona Willingham Griffin, former members of that Church. The children of the deceased gave the window to the Church in memory of their parents. The children present for the service were Robert Griffin, Los Angeles, Calif; Clay Griffin, Atlanta, Ga; Mrs. Horace Hunt, Birmingham; and Miss Melba Griffin, Brainard, Minn. Mrs. Leo Jellin [Jelin], Los Angeles, Calif., the only other child, was unable to attend. The Chairman of the Board of Deacons spoke briefly of the devotion and faithfulness of the late Mr. and Mrs. Griffin to their church and to the Lord's work. The pastor, Rev. Edward W. Glover, led the congregation in the dedication of the window to the memory of these two Christians whose lives had been consecrated in rendering service to the Church and community. Following the dedication service the pastor brought a message on "God's Glory in Temples." At the conclusion of the church services over forty relatives of the Griffin and Willingham families and a few friends were served dinner at Reynolds Hall on the Alabama College Campus. The late Mr. Griffin was born in Clay County and lived here until early manhood. He is a brother of G. W. Griffin, Mrs. Robert Whatley and Mrs. Ike Reeves of Lineville; Miss Maude Griffin and Mrs. W. T. Dean of Ashland; J. A. Griffin, Sylacauga and Dr. J. O. Griffin, Memphis, Tenn. The late Mrs. Griffin, nee Mayona Willingham, formerly from Lineville, is a sister of Fred Willingham, Birmingham, Mrs. Zela Willingham Bowen, Atlanta, Ga., and Mrs. Pearl Willingham Howell, Eclectic, Ala. Those attending the service from Lineville were: Mrs. and Mrs. G. W. Griffin, Mrs. J. T. Griffin, and Mr. and Mrs. Emyl Griffin. My Mother, Mary Erom Griffin, lived in this house with her Uncle Robert's family for a year so that she could attend a better high school in Montevallo than the one in Hackneyville where she lived with her own family. I wonder who now owns the house. My Mother loved her Uncle Robert. He sometimes came to visit her when we lived in Marion, AL when he was there in his capacity as a book salesman. At that time he was selling books for a company that produced school textbooks. According to Mother, he was a very loving man. When Jim Griffin, my first cousin, came to visit Mother in the Brooks County Hospital, and brought roses, she told me later that he looked just like her Uncle Robert. ...I remember visiting there (Robert L. Griffin Sr.) once with Mother,Daddy and Elaine. She and I both attended Montevallo College, which used to be a girls' school only. After the War was over, boys were allowed to attend. I remember the house well as it is not too far from the campus, if I remember correctly. The house is still beautifully structured. I hope the buyer will restore it and keep its unique design. Joe Inzer Griffin, Irondale, AL. E-mail written Dec 2008 to Lew Griffin from Robert Lewis Griffin IV, e-mail address.